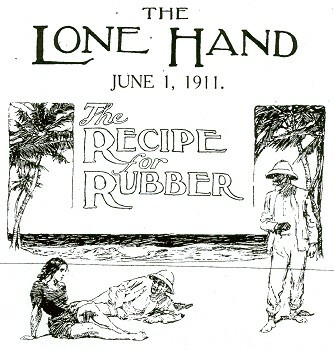 Ralph Stock and Norman Lindsay : Recipe for Rubber, June 1911. (Stock, Ralph): The Recipe for Rubber - A Romance of the South Pacific. Chapter One (Illustrations by Norman Lindsay. 1st June 1911, pages 92 to 104. 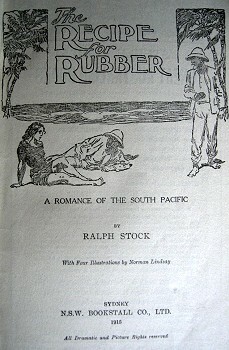 Stock, Ralph: The Recipe for Rubber - A Romance of the South Pacific. N.S.W. Bookstall Co, Sydney, 1912. 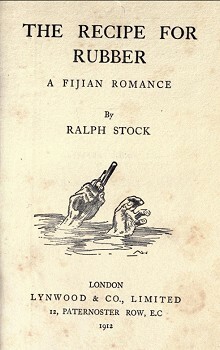 Stock, Ralph: The Recipe for Rubber - A Fijian Romance. Lynwood and Co., London, 1912, pages 18-19. 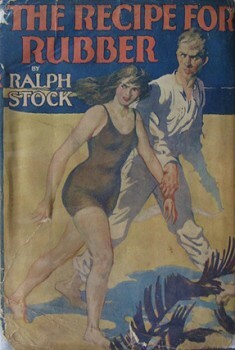 Although the author is not accredited in the magazine, Ralph Stock was a regular contributor to the Lone Hand and published a novel under the same title in Australia in 1912 which ran to seven editions. It was also published in England in the same year under the title The Recipe for Rubber - A Fiji Romance, with further editions in 1915, 1919, and a paperback edition in 2009, 2012 and 2016. The description of surf-riding (page 95) appears to be derived from one of the many 19th century accounts, see the Source Documents menu for some possible suspects. 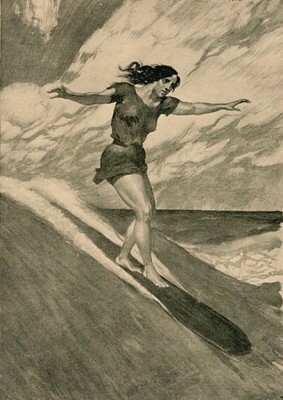 Similarly, the surf-riding image (page 92) and the board portrait (page 100) by famed Australian artist, Norman Lindsay, are also possibly based on 19th century illustrations or even photographs from the early 20th century. 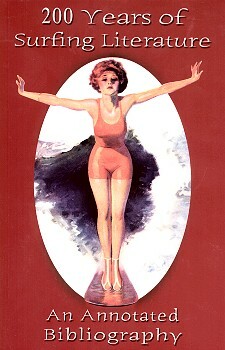 The novel included the surfing illustration (facing page 18), but not the board portrait on page 100 of The Lone Hand. 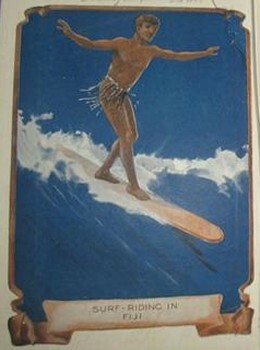 In 1922, Lindsay's illustration was adapted, with a change to the surfer's gender, for a coloured illustration Surf-riding in Fiji in The Boy's Own Annual of 1921-1922, see below. This entry was first transcribed from monotone photocopies (hence the poor quality of those illustrations) from The Lone Hand located in the Mitchell Library, Sydney, and uploaded in 2008. Research Note: The very week that I came across Stock's novel online, I received an email from Daved Marsh who advised me of the Internet Archive edition, noting that he was looking up some info on the great Australian artist Norman Lindsay, and I stumbled upon a surf mention I never heard of before. Daved Marsh was the creator of The Waterlog (1993-2013), a surf bibliography web-page that was a marvellous resource and an inspiration to myself and, no doubt, many others. Importantly, his work was the basis of 200 Years of Surfing Literature - An Annotated Bibliography, orchestrated by Tim DelaVega and published in 2004. An early example of the collective power of the internet, the book was significantly expanded and enhanced by the exchange of countless emails from the T.E.A.M. (Together Everyone Achieves More), a worldwide group of enthusiastic historians and collectors. A major contributor to 200 Years was Joe Tabler, proprietor of surfbooks.com since 1999 (web page design by Daved Marsh 2006) and founder of the online newsletter The Surf Blurb in the early 2000s. Many thanks to Daved for his extensive contributions to surf research. Stock, Ralph: The Recipe for Rubber - A Fiji Romance. Lynwood and Co., London, 1912, page 18. The Island, the Girl, and the Man with the Cloved Hand. UNDER a sky of flaming bronze, merging into dull pewter as it neared the horizon, and on the blue mirror of a sea that reflected and intensified the sun's rays into a blinding glare, a trim white cutter felt her way round the barrier reef of an islet in the Fiji group. headland running down to the sea, where he was forced to plunge into the mangroves and pick his way through tangled brush ankle-deep in oozing black mud. He was on the point of stumbling out on to the beach on the further side when he came to an abrupt standstill, mentally demanding if he were delirious or whether he actually saw a neat little jetty running out into the sea, with an equally neat launch moored at its side, and whether it was a mermaid or one of flesh and blood sporting in the surf not a hundred yards distant. The latter wore a trim blue bathing dress and pushed a surf board in front of her- mermaids and surf boards were surely incompatible. She waited for a gigantic breaker from the reef that it seemed must surely catch and dash her bruised and senseless on the beach, then leapt on to the board, first lying, then kneeling, then standing, as she shot like a meteor for shore, borne on a cascade of foam. Carrying the board high on to the beach, she lay in the hot sand sunning herself, while for the third time Drummond asked himself what he ought to do, and answered the question by craning his neck round a mangrove trunk and remaining where he was. There were palpably only two courses open- to advance or retreat- and as, after due deliberation, he determined there was really no cause for the latter, he stepped from shelter. An expression of amazement, almost horror, flashed into the piquant little sun-kissed face that looked up into his as the girl's hands leapt to the short blue skirt and tugged its damp folds to greater length. Page 100 Illustration by Norman Lindsay. Stock was born in New South Wales and went to Canada as a twenty year old. He sailed through the Pacific and began writing stories for The Lone Hand. In 1911 his novel, The Recipe for Rubber : A Fijian Romance, was published with four illustrations by Norman Lindsay by Bookstall Co, Sydney, with a second edition in 1912. The Cruise of the Dream Ship (1921, 1931, 1950) was his third travel book, and his most popular. It describes a cruise on a yacht from Devon, through the Panama Canal into the Pacific, ending at Thursday Island. His sister, Mabel, accompanied him and also wrote a book about the journey, The Log of a Woman Wanderer (1923). They called at the Galapagos Islands, the Marquesas, Tahiti, and the Friendly Islands. - The Pacific: An exhibition of material from the Monash University Library Rare Books Collection. Stock was a prolific and popular author, his other books include Confessions of a Tenderfoot (1913, 1923), Marama: A Tale of the South Pacific (1913, 1914), The Pyjama Man (1913, text in Turkish), Tadra of the Lagoon: and other South Sea Tales (1914), The Chequered Cruise (1916), Beach Combings: South Sea Stories (1920), South of the Line (1923), and Unchartered Waters: South Sea Stories (1924). Serialised in The Lone Hand, 214 George Street, Sydney, Australia, 1911. N.S.W. 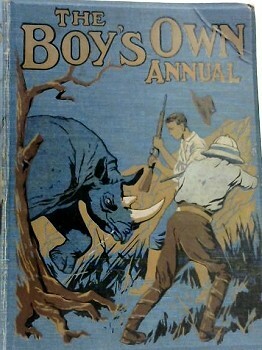 Bookstall Co, Sydney, 1912, 1913, 1915, 1918, (4th edition),1920 (7th edition). Lynwood and Co., London, 1912. C. Arthur Pearson, London, 1919. HardPress Publishing, United States, 2012. Forgotten Books, United States, 2016. N.S.W. Bookstall Co, Sydney, 1915. Geoff Cater (2008-2018) : Ralph Stock and Norman Lindsay : The Recipe for Rubber, 1911.